Dr. Michael Fulbright is proud to have built a practice based on excellence and integrity, one in which his patients feel good about the dental care they receive. He’s established himself as one of the most skilled and caring cosmetic dentists in the South Bay. By maintaining state-of-the-art equipment, techniques, and systems in his office, he has further sustained his edge in the dental field. 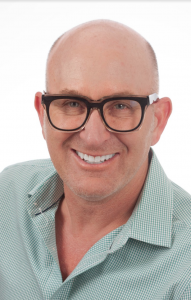 What Sets Dr. Fulbright Apart from Other Cosmetic Dentists? Dr. Fulbright earned a Bachelor of Science degree in Biology (BS) in 1991 from the University of California, Irvine. In 1996 he received an additional BS in Dental Hygiene from the University of Southern California (USC), and then earned a Doctorate in Dental Surgery (DDS) in 2000 from the School of Dentistry at USC. Dr. Fulbright obtained post-graduate training from UCLA in the Advanced Aesthetic Continuum and the renowned Pacific Implant Institute, which has enabled him to perform all aspects of full-mouth reconstruction. After dental school, Dr. Fulbright practiced in Beverly Hills with the renowned cosmetic dentist and premiere international lecturer Dr. Brian LeSage, Director of the UCLA Aesthetics Continuum. Dr. Fulbright cultivated his expertise in aesthetic and cosmetic dentistry and refined his practical skills while working closely with Dr. LeSage. In 2003, Dr. Fulbright pursued his dream of owning his own practice in the Hollywood Riviera in Redondo Beach. In order to keep his edge in dentistry, Dr. Fulbright attends more than 100 hours of advanced continuing dental education every year. In addition to Dr. Fulbright’s commitment to advancing his knowledge and skills in the fields of general, cosmetic, and reconstructive dentistry, he is also dedicated to helping individuals who suffer from obstructive sleep apnea. Millions of Americans are affected by sleep apnea, a condition which can cause air passages to narrow or even close completely while sleeping. There are a variety of dental treatments that can be very effective for addressing this dangerous condition. Dr. Fulbright has pursued many hours of additional education and training to be able to offer our patients a comprehensive range of options that can provide them with a safer, healthier, and more restful night’s sleep. If you would like more information on our dental sleep medicine treatment programs, we encourage you to visit our sleep apnea and snoring treatment website. Dr. Fulbright is also a Certified Provider of the BaleDoneen Method®, a comprehensive, science-based program focusing on the prevention, detection, and treatment of cardiovascular disease. Learn more about the BaleDoneen Method®, its connection to oral health, and how it fits into our complete health approach here. Dr. Fulbright is also very involved in giving back to his community. He has helped restore the lives of domestically abused men and women through the Give Back a Smile Foundation. He has also volunteered his services through Remote Area Medical (RAM), the Beacon House, and various community causes. A cosmetic dentist is one who is extensively trained in a field of dentistry that focuses on enhancing the appearance of the teeth and gums. This special training is in addition to the dentist’s education in other fields of dental care, such as general and restorative dentistry. While a number of general dentists may offer treatments that can improve the appearance of a patient’s smile, a cosmetic dentist makes smile aesthetics a strong focus of their practice. Cosmetic dentists such as Dr. Fulbright are typically members of organizations such as the American Academy of Cosmetic Dentistry and place a heavy emphasis on continuing dental education, accumulating many hours of additional training to learn about the latest advances and emerging technologies. Procedures such as porcelain veneers, dental implants, and professional teeth whitening are some of the most popular treatments offered by cosmetic dentists. Dr. Fulbright has established an impeccable reputation as an experienced cosmetic dentist who truly cares about our patients and their needs. A Sustaining Member of the American Academy of Cosmetic Dentistry, Dr. Fulbright has been honing his skills and techniques for decades, and is committed to utilizing the absolute latest in technology to help our patients renew their smiles with beautiful results. He is also a firm believer in continuing dental education, which allows him to bring our patients some of the most advanced treatments available. With innovative Digital Smile Design technology and other state-of-the-art treatment protocols, Dr. Fulbright is dedicated to making the process a genuine collaborative effort, working with each of our patients to meet – and even exceed – their expectations while providing a positive environment and friendly, compassionate care. An experienced cosmetic dentist such as Dr. Fulbright often has an extensive list of credentials. The prospective dentist’s biography is often available on his or her website, and it is worth a thorough review. The doctor’s number of years in practice, memberships, involvement in the community, commitment to continuing education, and areas of special focus are just some of the important elements of their background that can be useful in determining their level of skill and experience. Dental practices often have general and cosmetic dentistry before-and-after photos available on their websites. If not, feel free to ask the practice to view before-and-after photos when you visit the office. These “Smile Galleries” can give you an idea as to the results your prospective dentist is capable of. In fact, you may even find photos of patients who have had the same treatment you are considering, which can provide you with a fuller picture of what can be expected from specific procedures. Learning about the experiences of other patients at the practice can be helpful during the selection process. Many dental practices have pages devoted to dentist reviews and patient testimonials directly on the website, and third-party review sites can also serve as a resource. These can often give you a greater understanding of what you can expect in terms of the overall treatment experience. Once you have selected a prospective dentist and scheduled a consultation, it’s a good idea to use this time to evaluate your rapport. Do you feel confident in their abilities? Do they listen attentively to your concerns and thoroughly answer your questions? Do they customize each treatment plan to your specific needs? These are all important questions to consider when you meet the dentist. After all, you are going to be partner in your own care, and you should feel assured that the dentist places your safety and achieving the best possible results as the highest priorities. If you would like to schedule an appointment here at Fulbright Cosmetic & Reconstructive Dentistry, please contact us today. Below, we have provided some of the most common misspellings of our dentists’ name that when entered into a search engine may make it difficult to find our website.